World of Warcraft is an MMORPG that takes place in Blizzard Entertainment's Warcraft universe. At its peak, it boasted a player base of over 12.5 million subscribers, making it the most popular MMO of all time. NOTE: Due to the nature of World of Warcraft's expansions, this page covers the base game and all of its expansions. First things first: World of Warcraft (a.k.a. WoW) is well-known for requiring a subscription, which has been priced at $14.99 per month since the game's launch. Buying multiple months at a time reduces the price by up to $3 per month. There is a free-to-play option; the game may be played to level 20 without a subscription using the Starter edition. Blizzard sells the base game bundled with Burning Crusade, Wrath of the Lich King, Cataclysm, Mists of Pandaria, and Warlords of Draenor for $19.99. World of Warcraft: Legion, the most recent expansion, cannot be purchased alone; it comes along with upcoming expansion Battle for Azeroth at $49.99. The complete package, including Battle for Azeroth, can be purchased for $59.99. Blizzard sells a handful of mounts, pets, and cosmetics, ranging from $10 to $35. Services such as faction changes, name changes, and character level boosts also cost $10 to $35. A few years ago, Blizzard implemented WoW Tokens to combat third-party gold (WoW's classic in-game currency) sellers, sold for $20 each. WoW Tokens can be sold on the in-game Auction House for gold, redeemed for 1 month of game time, or redeemed for Blizzard Balance—Blizzard's way of storing cash on your account. These Tokens can be purchased, sold on the Auction House, and redeemed infinitely. Due to this, it is possible to buy ingame gold with real money and then spend that gold on items in the game. 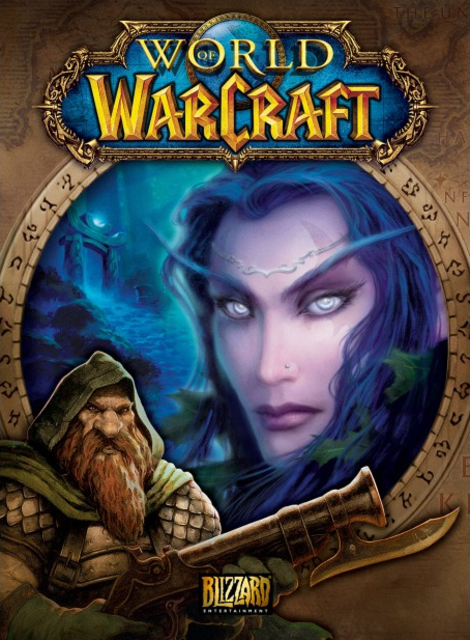 NOTE: Due to the nature of World of Warcraft's expansions, this page covers the base game and all of its expansions. — First things first: World of Warcraft (a.k.a. WoW) is well-known for requiring a subscription, which has been priced at $14.99 per month since the game's launch. Buying multiple months at a time reduces the price by up to $3 per month. There is a free-to-play option; the game may be played to level 20 without a subscription using the Starter edition. Blizzard sells the base game bundled with Burning Crusade, Wrath of the Lich King, Cataclysm, Mists of Pandaria, and Warlords of Draenor for $19.99. World of Warcraft: Legion, the most recent expansion, cannot be purchased alone; it comes along with upcoming expansion Battle for Azeroth at $49.99. The complete package, including Battle for Azeroth, can be purchased for $59.99. Blizzard sells a handful of mounts, pets, and cosmetics, ranging from $10 to $35. Services such as faction changes, name changes, and character level boosts also cost $10 to $35. A few years ago, Blizzard implemented WoW Tokens to combat third-party gold (WoW's classic in-game currency) sellers, sold for $20 each. WoW Tokens can be sold on the in-game Auction House for gold, redeemed for 1 month of game time, or redeemed for Blizzard Balance—Blizzard's way of storing cash on your account. These Tokens can be purchased, sold on the Auction House, and redeemed infinitely. Due to this, it is possible to buy ingame gold with real money and then spend that gold on items in the game.